Sapphire and Sterling Silver Necklace. 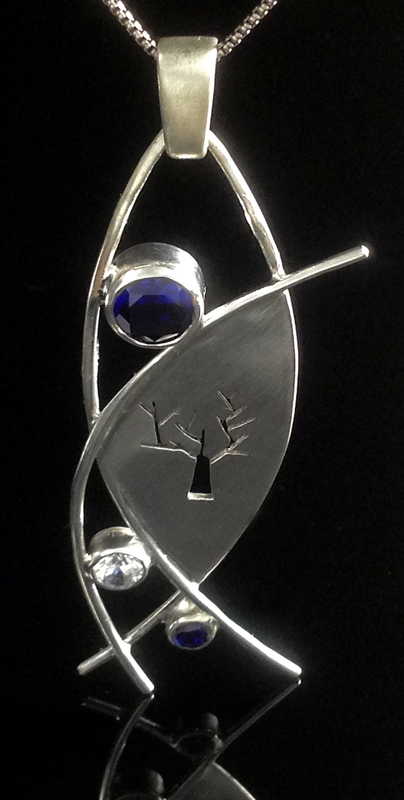 This piece features two lab grown sapphires and one Cubic Zirconia. It measures 2 1/2 inches long and 3/4 inch wide.